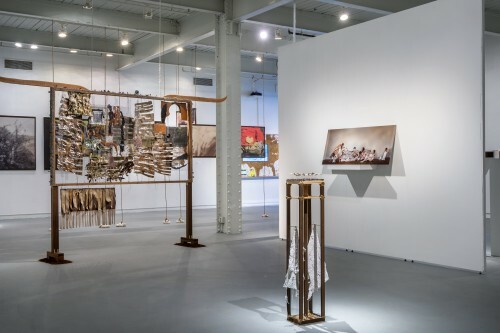 Fanny Fox Decker Gallery is a state-of-the-art, climate controlled gallery space is home to major exhibitions by local, national, and internationally known artists. Located in the Fox Building, it is named for MICA alumna and philanthropist Fanny Fox Decker in recognition of her family's support for the College. It is also the site for the annual Sabbatical Exhibition, and one of a number of campus wide sites for the annual Commencement Exhibition.